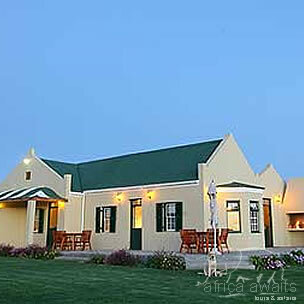 This cosy guest house is situated on a working ostrich and alfalfa farm, with some 6,000 ostriches on extensive alfalfa fields, and spectacular views of the Olifants and Swartberg mountain range. 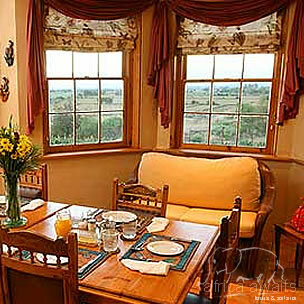 5 luxury B&B cottages with verandahs, BBQs & lounges as well as 3 en-suite bedrooms at the main homestead. Well equipped with modern amenities and private entrances. Luxurious gardens and mountain views, airconditioning, bar fridge, Satellite TV (DSTV), tea & coffee making facilities, microwave oven, hotplate and fireplace as well as your own BBQ facilities with equipment. We provide self-catering BBQ packs to your cottage on request so you can enjoy the Karoo night skies sampling local fare. * 4x4 routes available on request. Semi-self catering barbecue packs delivered to your cottage - enjoy the spectacular view - table set - fire made. Local wine is also available on request, price list will be provided. All these served with a crisp garden salad and garlic rolls. We serve formal dinners & light meals in addition to self-cook BBQ packs. * Stargazing - our skies are some of the clearest in the world. The tour starts at 09:00 at De Denne and the guests are welcomed by our tour guide. This tour is interesting as well as educational as the history of the ostrich, feeding, breeding and different species are discussed and shown to guests. You will be able to see and experience the ostrich in the farm environment. The incubator room is the ultimate as the hatching chicks are the most adorable little things and exciting moments of seeing them hatch is something you will remember for ever. 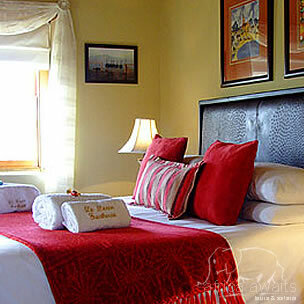 With your holiday, safari or business trip from in to De Denne Country Guest House in The Garden Route.